In cooperation with Ma’an News Agency and funded by the Swedish International Development Cooepration Agency (Sida), the Media Development Center at Birzeit University has launched a new TV program titled: “under investigation”, which shows diverse experiences of Palestinian journalists and media experts from various areas and fields of work. “Under investigation” belongs to the talk show category, each episode proceeds for an hour on TV, and is hosted and presented by the media experts Nibal Thawabteh and Nahed Abu Taimeh. Over the course of 12 episodes, the program aims to facilitate a discussion with diverse Palestinian journalists and media experts. The guests demonstrates key areas in their personal and professional lives and reflect on, analyze and evaluate the media sector in Palestine from a critical angle. This analysis provided by these journalists and media experts is based on their expertise, experience and skills within this field in the hope of a better future. During the first episode, the program hosted the media expert Muhammad Daraghmeh, which is the director of the Associated Press News Agency in the West Bank. Mr. Daraghmeh discussed his journalistic beginnings from his prison cell, and later on his work in the city of Nablus and until he settled in Ramallah where he currently works. The director of the Media Development Center, Nibal Thawabteh, views this program as an added value in terms of its content and composition. Indeed, the program team has formulated the idea and the goal of the program in a relatively new TV framework, as the program shows its various sections in three different locations within the studio. In addition, discussions about the Palestinian media and journalism sector are presented through three differing angels, which are the personal aspect of the guests’ lives, his/ her practical and professional experience within this sector, and lastly, his/ her critical analysis of the Palestinian media sector. “Under Investigation” is a program that aims to critically examine the experiences of high-caliber Palestinian journalists and media experts that had a distinctive effect on the Palestinian media sector. In fact, the program is a tool to try to further understand the reality of Palestinian media and to explore the diverse experiences that journalists and media experts have lived before and after the establishment of the Palestinian Authority and in various Palestinian communities and settings. 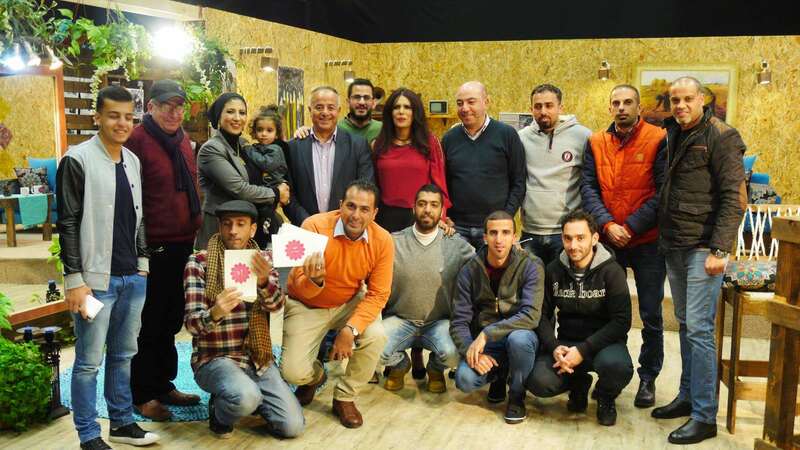 It is important to note that the program is directed by Muhammad Sami Elwan and is produced by Saeed Abu Muala and is filmed at Birzeit University studios. The program is broadcasted by Ma’an News Agency at 9 pm every Friday evening and once more, on Saturday at 1:00 pm. As mentioned earlier, the TV program hosts a diverse group of media experts and journalists such as: Aref Hiijawi, Walid al Omari, Abdelrahman Othman, Nour Odeh, Khalil Shaheen and Nabil Amro.